Astoria drivers looking for the peace of mind of thorough warranty coverage can find it in the Volkswagen People First Warranty. 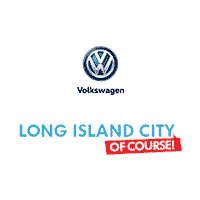 Learn more about the Volkswagen Warranty options below, as well as Volkswagen extended warranty coverage, and visit Long Island City Volkswagen when it’s time for regular service! Additionally, the Volkswagen New Vehicle Limited Warranty is transferable, so if you end up selling your vehicle, the next owners can take advantage of the remaining coverage. What Are Volkswagen Extended Warranty Options? Feel free to contact us if you have any additional questions about the Volkswagen warranty and how it can help you protect your iconic VW Beetle. When it is time for regular maintenance or major repairs in Bayside, we offer Volkswagen-certified service for VW vehicles and even express service so you don’t miss a beat. Don’t forget to check out our current service specials so you can save on your next round of maintenance! We understand you’re looking for the best service at the best value. That’s why we’ll match any service offers from any other Volkswagen dealership. Just bring the copy of the estimate and’or advertised special and you’re all set!